These slippers are constructed from a single piece of natural wool felt, their 3D form being created by complex 2D geometry of the pattern. The shapes are die-cut from sheets of 5mm thick felt with minimal, simple and affordable tooling – making this product very suitable for small-scale local production. 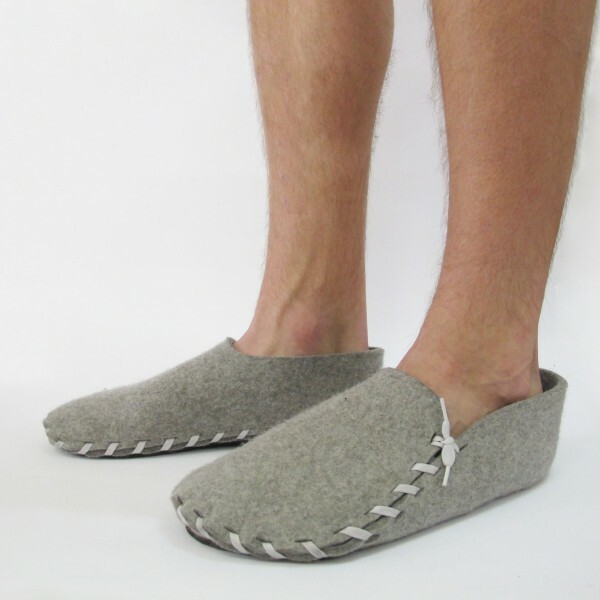 The slippers are delivered flat-packed for assembly by the user by “sewing” the seams with the standard laces supplied in a colour of their choice. 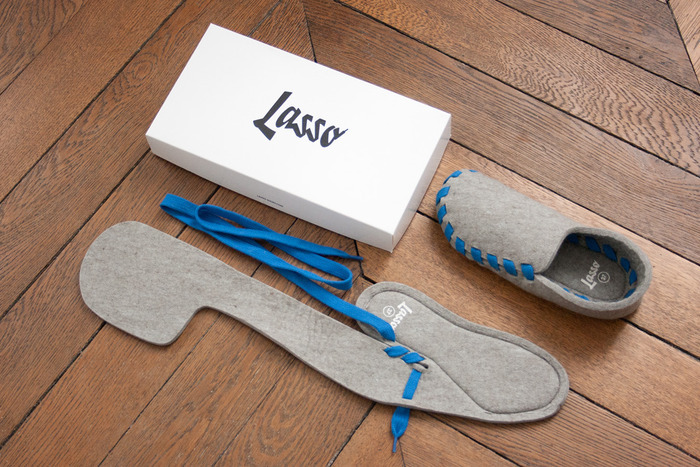 The act of self-assembling the slippers increases the sense of ownership and emotional connection with them and allows for personalisation through the choice of laces used.